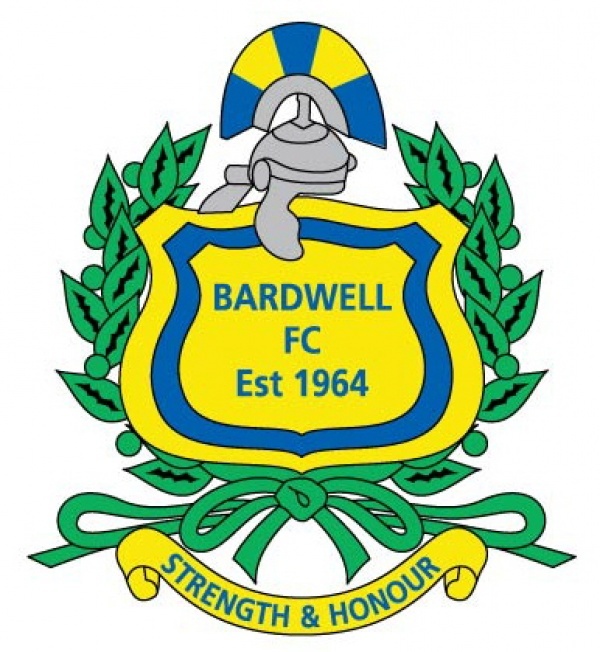 Welcome to Bardwell F.C. (the Club) and to this article which we hope will provide all the information you need to know about us and the facilities and support that we offer you and your child as they proceed through their football career. Bardwell Football Club was founded in 1964, by Mrs. Margaret Simons, who named it after Bardwell Terrace where she lived. Mrs. Simons recognised that young children had limited access to any kind of recreational facilities and so she started up a children’s football club. She ran the Club virtually single handedly, seeing some of her players progressing to managers. Over the years the Club has flourished and currently has youth teams of varying ages ranging from 7 to 16 years for boys and girls. Although semi-retired from active duty on the Committee, Margaret is honoured as Life President of the Club. In 2007 Margaret was awarded the BBC Sports Personality of the Year "Unsung Heroes" award for her commitment to football. She was presented the award live on TV by Tim Henman and in her speech she pitched for the then vacant role of England Manager - much to the delight of the audience. Unfortunately she was beaten to the job by someone called Fabio Cappello. At Bardwell we fully understand that, especially at the very young levels, players will develop and mature at vastly different rates. In any team there can be players that are almost 1 year different in age and at the age of 7 that is a BIG gap. All of our coaches undergo the minimum FA Level 1 Coaching courses, paid for by the Club, in order to bring a level of consistency between the coaching methods as the youngsters progress. Many go on to higher levels of FA qualification and we are proud to say that we have one of the best qualified coaching teams in the area. However everyone must understand that each coach will have their own style and way of doing things and that this is quite normal. The Club insists upon a Code of Conduct for all of our Coaches (and spectators as well as players) and if at any time you feel that a coach is not adhering to the Code of Conduct then you have the right to raise your concern with the Club's Welfare Officer who will investigate the matter and if necessary bring the matter to the attention of the Club Committee. These matters are always treated in confidence so you can be comfortable in making your point heard without creating any potential problems later. All Codes of Conduct are included in our Parent & Player Information Pack and we urge you to take a look at them. The Parent and Player Information Pack consists of 4 pieces of important information. Please take time to read them as you will be required to sign confirmation that you have received them, read them and understood them on the Club Registration form. The Club is run by a management committee and their contact details can be found on our website. The venue of our Committee meetings is published in advance on our website. The meetings are usually held at The Nightingale Pub, Langford Village, Bicester on the SECOND Monday of each month starting at 7:30pm. There is an Annual General Meeting where Committee members and parents are invited to attend. We are always looking out for new parent representatives to join us as we feel that contributions are invaluable to the Club. The Monthly committee meetings are to be attended by the committee members as above with the Managers of all teams. If the Managers are unable to attend then they may send a parent representative to attended in their absence providing the Secretary is informed prior to the meeting by the Team Manager. The annual subscription for all teams is set by the Management Committee and published on our website. For families with two or more players at the Club a refund of £20 is given for each family member except the oldest player. A breakdown analysis of how the Club spends the fee income is available from the Treasurer upon request. It should be noted that subscriptions do not cover activities such as end of season tournaments. Such activities are to be funded by the team or the parents of the players participating in the event. In fairness to all players and parents the Club must reserve the right to withdraw the right to play for players that have not paid the due subscriptions by the due dates without reason. All kit and equipment issued remains the property of the Club and must be returned to the Team Manager at the end of each season or when otherwise requested. If anyone has problems with payment then you must contact the Parent Liaison Officer and all matters will be treated confidentially and on a case by case basis. The Club respectfully asks that all parents ensure that the subscriptions are paid promptly so that a predictable cash flow can be anticipated and events such as Presentation Evenings are planned with a cash figure for purchasing trophies etc. The Parent Liaison Officer should be the First Point of Contact if you have any queries in regards to the running of the Club. This Officer will be also responsible for the 2-way communication between you and your team manager or the committee if there is any dispute or grievance. The Parent Liaison Officer is there for your benefit to ensure that any problems you are encountering are brought to the attention of the Committee and that the Committee’s response is fully communicated back to you. Each team will have an appointed Manager / Coach who will organize training sessions (usually midweek) and advise you of match days. These are usually on a Saturday or Sunday. At the end of the season there may be ‘6 a side’ tournaments and friendly games arranged. Should your child be unable to attend to a game due to illness or family commitments your Manger should be informed as soon as possible so that arrangements can be made for substitute cover. The period of registration shall terminate on 31 May unless there are outstanding financial obligations. In all circumstances, all outstanding fees and/or fines, must be paid in full and all kit returned before any player is released from the Club. Any player not completing payment of subscriptions shall not be released by the Club and shall be reported to the Leagues and County Association which can lead to that player being unable to play for any other club. Should your child wish to cease playing for Bardwell FC before 31 May 2010, please note that no monies will be refunded. The Committee may agree to refund a percentage of subscriptions paid should the member move away from the Bicester Area (minimum 20 miles) or is incapacitated due to certified Injury or Illness. A Football kit containing Shirt, Shorts and Socks (and in some teams training tops, waterproofs, and sweatshirts) will be issued to each player at the start of each season. You will be asked to sign for it and you are responsible for its upkeep. We require that due care and attention is given when looking after this kit as, due to the manufactures continually changing kit designs, replacing damaged or lost items can be impossible and therefore is quite costly to the Club as an entire new kit may need to be purchased. Goal keepers may be provided with trousers (to a maximum cost of £15 per pair) and gloves (to a maximum cost of £10 per pair). All issued kit is only to be worn in conjunction with Bardwell F.C. matches. Kit is NOT to be used for training or casual wear. Each player will be responsible for providing their own footwear, shin pads and ankle pads. These are to be worn on both training and match days. Shin pads are COMPULSORY and the Club will not permit a child to play without them. To avoid disappointment therefore please ensure that your child has them on match days and training sessions. Appropriate footwear must also be worn and you should regularly check for worn studs on boots that can be an injury hazard. If your child leaves Bardwell F.C. at any time during this season you are required to return all kit and equipment (except socks and gloves). Failure to do so will result in Bardwell F.C. seeking full reimbursement for the value of the kit not returned in accordance with the Registration Form that you have to sign at the beginning of the season. Managers / Coaches usually have other work and family commitments in addition to providing their valued time to the Club; therefore we would ask that any help that parents can give with regards to assisting with training and providing lifts for children on match days and erecting goals etc would be gratefully appreciated. Also donations of juice/fruit/biscuits at matches are welcomed should you choose to do so. The Club is dependent upon parents/guardians or family friends to help with the running of the team and Club. The Club is always looking for help in roles such as first-aiders, referees, coaches and committee members. The Club will subsidise the cost of training courses in First Aid, FA Referee and FA Coaching courses. This usually entails a couple of evenings and possible week-end study. If any parent/carer shows interest and would like to attend such a course please see your Team Manager or contact the Committee Secretary to find out more details. A record of each Childs’s personal details will need to be kept by the Team Manager and the Registration Form will need to be held by the Secretary of the Club. If any details change please inform the appropriate people as soon as possible. Any child displaying disrespect or inappropriate behavior towards adults, referees or team players will be dealt with initially by the team Manager and the relevant parents will be informed. Should the behavior continue then the matter will be referred to the Club Committee and this may result in temporary suspension or, in extreme cases, permanent exclusion for that child. In the event that a child is excluded from the Club then all subscriptions are to be paid in full and are not refundable. Any parent/carer/supporter displaying disrespect or inappropriate behavior towards adults, children or referees will be dealt with initially by the Team Manager. Should the behavior be of sufficient severity that requires the offending Adult/s to attend a committee meeting or lead to a team or the Club being reported to the League and/or County Associations then the offending Adult will be requested to explain their actions, which may result in the adult being suspended from attending matches, and will be required to pay the fines levied against the Club in respect of their actions. Failure to pay the fines may lead to suspension/expulsion from the Club and should suspension/expulsion occur then all subscriptions must be paid in full. If subscriptions have been paid in full, then these will be non-returnable. It should be noted that payment of any disciplinary fines levied by the League or County FA for a caution or sending off offence issued to a player during a match will be the responsibility of the player or his/her parent/guardian and NOT the Club. Should there be substantial grounds for appeal with which the Club agree then the Club will support that player through a disciplinary hearing. Such support can only be granted by the Club Committee and the matter must be raised in person with the Club Committee at a scheduled committee meeting. No child or family will be excluded from the Club on the grounds of gender, class, family status, means, disability, colour, ethnic origin, culture, religion or belief. We aim to ensure that all who wish to join or be involved in the Club have an equal chance to do so. The Club values its partnership with the players, parent / carers and the Local Authority in the safeguarding of your child and their welfare. Club Welfare Officers have been appointed and will pursue any reports of persons abusing children whether it be verbally, physical or emotional etc. In the event of an incident whereby a child may need emergency first aid or hospital attention your permission may be sought within reason. Please see your individual Team Manager for further details. Should you have any reason to raise a complaint please speak to your Team Manager in the first instance. Should the manager be unable to help you or you are not happy with their comments then please feel free to Contact the Parent Liaison Officer or Club Welfare Officers directly who will try to resolve the situation. And finally……….. At Bardwell FC we aim to provide the best facilities, support and encouragement to our members and players so that the Club will thrive and progress well. We hope that you and your child have a long and happy association with Bardwell FC. If you have any suggestions on how we may improve or any comments to make, please do not hesitate to let us know.